The mining sector has historically been overwhelmed by men. But today, things are slowly starting to change. Indeed, the mining sector is experiencing a gender diversity watershed moment. Through both commitment and action, companies are recognising the need for diversity at the board and senior management levels, as well as through the rest of the organisation. 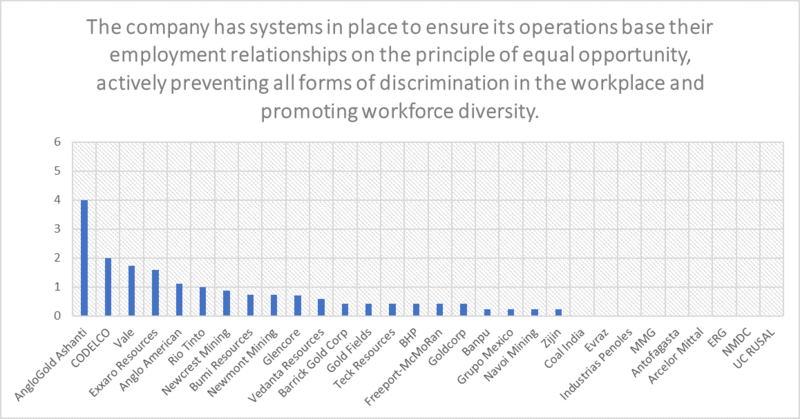 For example, in October 2016, Andrew Mackenzie, CEO of BHP Billiton, announced the aspirational goal to ‘achieve a gender-equal workforce by 2025’. Yes: equal. That’s a massive step for a company with only 18.61% of the workforce being women today. And just one major company (CODELCO) remains without a female board member today. However, according to Bloomberg, mining companies are still significantly behind other sectors on female representation, with only about 20% of the workforce being female (it’s even lower in management). What’s behind these statistics? The causes are complex. But the recently released Responsible Mining Index (RMI) provides one clue. How are companies taking into account the needs of women in their Health and Safety planning? Each mining company was assessed on issues such as the provision of gender-appropriate sanitation facilities, and measures to prevent sexual violence, intimidation and harassment in mines. The RMI found a woeful lack of disclosure on these issues. The following two graphs show the scores that companies received (out of 6) in the two indicators that relate to health and safety needs of women and diversity. Companies score an average of just 0.61 (out of 6) on the first, and 0.44 on the second. Pathetic! How can miners expect to address gender imbalances if they are not able to provide evidence that they consider women’s safety in their forward-planning? Disclosing good practices can help to build a mining company’s credibility with women. It can also serve as an important benchmark to compare with others. And it might just make it a bit easier to reach that goal of a gender-equal workforce.